Our highly trained Dermastore® skin therapists are often asked questions to do with men’s skin health and while there are many skin conditions shared by both men and women, there are some that are very specific to just men. We asked Dr. Ian Webster, Dermatologist and founder of Dermastore® to share some of the more common male skin conditions he sees in his practice and to give advice on how to deal with them. There is one big difference between men and women and it is the big T … Testosterone. At puberty, both men and women start producing testosterone but men produce approximately ten times more of this hormone than women. Testosterone has an effect on the pilosebaceous unit – the hair shaft turns from thinner vellus hairs to darker, thicker terminal hairs. These sebaceous glands become larger causing bigger pores as well as producing more sebum, an oily secretion which makes skin oily and shiny. The thicker, darker facial hair in men, if left unshaved, protects the skin from the sun. Of interest, men who shave their beards and who undergo premature balding on the scalp have a higher incidence of skin cancer in these areas. The hair follicles under the chin and upper neck are more oval shaped and therefore the hair tends to curl. This may lead to a very distressing condition called Pseudofolliculitis Barbae. After a close shave, the hair grows out but curls back on itself, piercing the skin which can cause infection and inflammation. This is what is often called a shaving rash or razor bumps. Pseudofolliculitis may result in small keloid scars being formed or post-inflammatory hyperpigmentation where the infection leaves behind small brown marks. + Grow a beard or keep it to a stubble by means of a clipper. + Do not have a close shave to avoid the hairs curling back on themselves, puncturing and injuring the skin. + Always shave with the grain of the hair – shaving against it cuts the hair follicle just below the surface of the skin and this can cause an ingrown hair and inflammation. + Remove the hair by means of a laser. The laser hair removal works best in people with dark hair and a pale skin. NeoStrata® Gel Plus 15 AHA is a fast-absorbing gel containing, a high-percentage of Glycolic Acid. 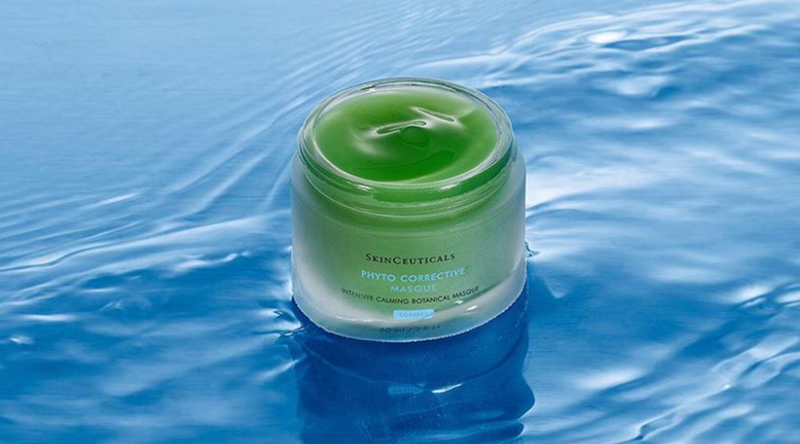 For calming shaving burn, we have had excellent results from the SkinCeuticals Phyto Corrective Masque as sometimes immediately after shaving and applying a product with active ingredients can sting. This leave-in masque absorbs quickly, soothing skin and does not sting at all. When it comes to the skin, men have thicker, more oily skins with larger pores. Despite the fact that the darker terminal facial hair protects the skin from the sun, men actually have a higher incident of skin cancer than women. This may be due to the fact that men are often more reluctant to use sunscreens or that they are involved in more outdoor activities such as sport and work. As a man ages the testosterone levels in the bloodstream slowly decline and this leads to a loss of muscle tone, decreased bone density and thinning of the skin. ‘Macho’ men are often more in the habit of washing their faces and body with a normal bath soap or doubling up their shampoo to wash which can be very drying on the skin. However, they do not realise that with the ageing process their skin becomes drier and thinner. Ordinary bath soap is often alkaline and strips the skin of its normal protective lipids which leads to increased transepidermal water loss and dryness. Some men are often reluctant to use facial and body moisturizers on a regular basis and this may lead to what we call an aesteatotic or dry eczema on the face and body. As a man ages he should wash his face and body with a milder, neutral pH cleanser and apply the appropriate moisturiser for his skin type together with sunscreen. Men, as well as women, develop acne or pimples but men are more likely to develop more severe, deeper adult acne on the trunk. Antibiotics taken orally may provide a temporary solution but often for this type of acne, the patient would require a course of Isotretinoin. Men can also develop a type of acne called Acne Mechanica. This usually occurs in the sporty males and is often due to the type of clothing they wear. If the fabric is non-breathable, tight or pressurizes certain areas on the body causing heat and friction, this can lead to a folliculitis in these occluded areas. It is best to consult your Dermatologist or General Practitioner in order to get the right treatment. Wearing clothing made from breathable fabrics is also recommended to avoid this condition. 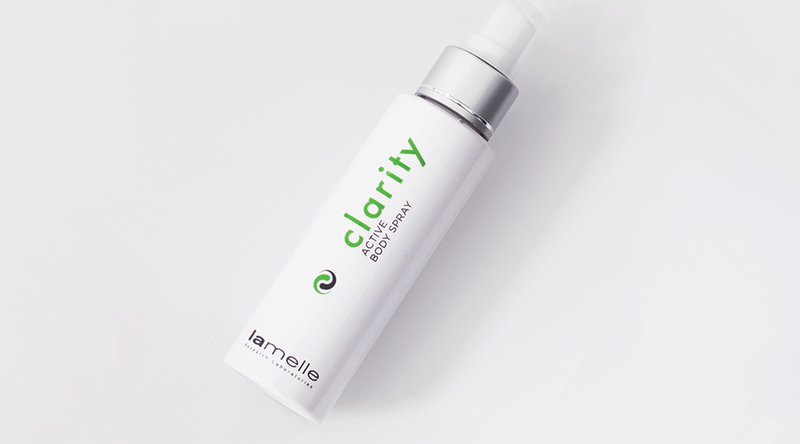 Lamelle have also recently developed a product for treating acne on the body, Clarity Body Spray which would be excellent for homecare use. In addition, the Lamelle Acnevelle capsules would also be a recommendation. + Regular use of an antiperspirant with aluminum hexachloride. + Botox injections into the axilla or underarm. This is usually done by a Dermatologist and results in an 80-90% reduction in sweating for 6-12 months. Most men in the past few decades were good to go for the day after a quick shave and a dab of some Old Spice aftershave! Then the whole landscape of men’s skin health took a different turn. A slow but steady transformation started to take place and the metrosexual man was born! The description of a metrosexual man first surfaced in the 1990s. This thoroughly modern man stepped out boldly and embraced a whole new outlook on self-care. I say boldly because up until then it was almost unheard of for a man to take an interest in his skin and his clothes. In the era between the 1950s-1980s most wives bought their husband’s clothes and the closest their men came to skin care was shaving cream and aftershave! A metrosexual man is meticulous about grooming and his general appearance and he takes a real interest in his skin and the products he purchases. He does his research and knows exactly what products he wants and needs and he is often not shy to spend money on attaining the best skin health possible. So what products should a man be using? As far as a general skin care routine for men goes, the preference is generally more towards a foaming cleanser, a light moisturiser or lotion and an oil-free, dry touch sunscreen. + Cleanser with the correct pH and suited to the skin type. + A high factor, broad-spectrum sunscreen that is usually oil-free with a dry touch finish. In a more advanced skin regimen for ageing skin, the following products can be added to amp up the regimen. + If the skin is oily then the cleanser should contain an ingredient like salicylic or glycolic acid. When outdoors a man should wear a broad-brimmed hat (a peak cap does not give enough protection) and protective clothing and use a high factor, broad-spectrum sunscreen that is appropriate for their skin type. Most men prefer an oil-free, matt type finish. It is also important to re-apply the sunscreen regularly throughout the day and especially after swimming, heavy sweating or towel drying. 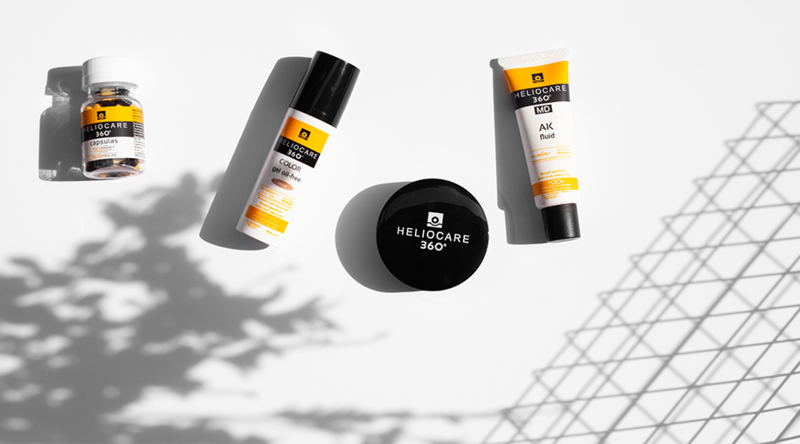 Some filters in a chemical sunscreen break down over time when they are exposed to the sun so that is why it is important to keep re-applying. The new lighter sunscreen formulations and transparent sprays are popular with men as they do not get entangled in their chest hairs or leave a white residue. There is also a variety of sunscreens that do not run into the eyes and these are very popular with sportsmen. While being cautious about sun exposure, it is important not to become Vitamin D deficient. Vitamin D is produced in the skin by the action of UVB in sunlight. In South Africa, in the summer, we only require approximately 20 minutes of sun twice a week to produce enough Vitamin D or alternatively, it can be obtained from food in the form of oily fish such as salmon and tuna. I generally also recommend one good multivitamin daily with at least 600IU units of Vitamin D. An excellent choice is the Lamelle Ovelle D3 Supplement in addition to taking oral supplementation against UV radiation which can be found in the Heliocare 360 Capsules. There are many other conditions which affect men but these are some of the more common conditions. For more advice on men’s skin issues, please contact one of our highly skilled skin therapists to assist you. Posted in NEWS / Skin Conditions on October 14th, 2016.